Lennox was founded 118 years ago by Dave Lennox. They have been producing HVAC units for over 30 years. Lennox offers Energy Star Products which can reduce your energy usage by up to 20%. 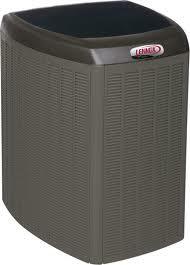 Berico, Alamance Oil and Carolina Fuels are able to install and repair the Lennox system. Call Berico, Alamance Oil or Carolina Fuels today for a free home energy audit. The Lennox International Incorporation has become a leading brand of air conditioning systems and climate control products in areas all across the globe. It all started in 1895 when Dave Lennox founded the company. Since its start, Lennox has become a company that provides both heating and cooling options, along with refrigeration products for the general public. The company also provides HVAC units that have rapidly increased in popularity over the years. The HVAC units are heating, ventilation, and air conditioning units that keep even the largest of buildings climate controlled. Lennox provides a wide variety of HVAC units that can be used in office settings or even in the home. These units are designed to maximize the ability of individuals to keep the temperature comfortable and controlled. There are many different businesses and residential customers who rely on these systems. The HVAC systems from Lennox are available in schools, malls, and restaurants, to name a few. In fact, some healthcare providers have these systems installed to keep the temperature controlled and comfortable for their patients. One of the main reasons why so many people use these systems to help cut costs in addition to keeping the air at a comfortable temperature. The air quality is also improved with the use of HVAC systems due to the filtration systems that help to eliminate dust particles, debris, and allergens from the air. Lennox offers many different products to choose from, which is convenient for customers who are looking for a cooling and heating system. Some of the unique systems offered by this brand include Energy Star Products and Packaged Rooftop Units. The Energy Star Products are designed to help save energy and power while reducing the cost of heating and cooling bills. Energy Star products have the star seal of approval located on the system. The Packaged Rooftop Units are innovative and have been recently introduced into the world of air conditioning, heating, and ventilation. The cost of these products will vary tremendously depending upon style, size, and other factors. Berico carries the Lennox brand and is able to install various types of systems for your home or business. Our professionals are able to determine which type of unit is best suited for you during our free energy audit of your residence or commercial property. Once a system has been determined, we will schedule an installation appointment at your convenience. One of our highly skilled and educated technicians will come out to install your system during your appointment and explain everything that goes with the process in detail. We take the time to make sure all of your questions are answered and your concerns are addressed. If you are considering a Lennox system for your residential or commercial property, give Berico a call or fill out our contact form so one of our representatives can help you.